Unicorn cakes are super trendy right now, and what better way to embrace this trend than to innovate on it. 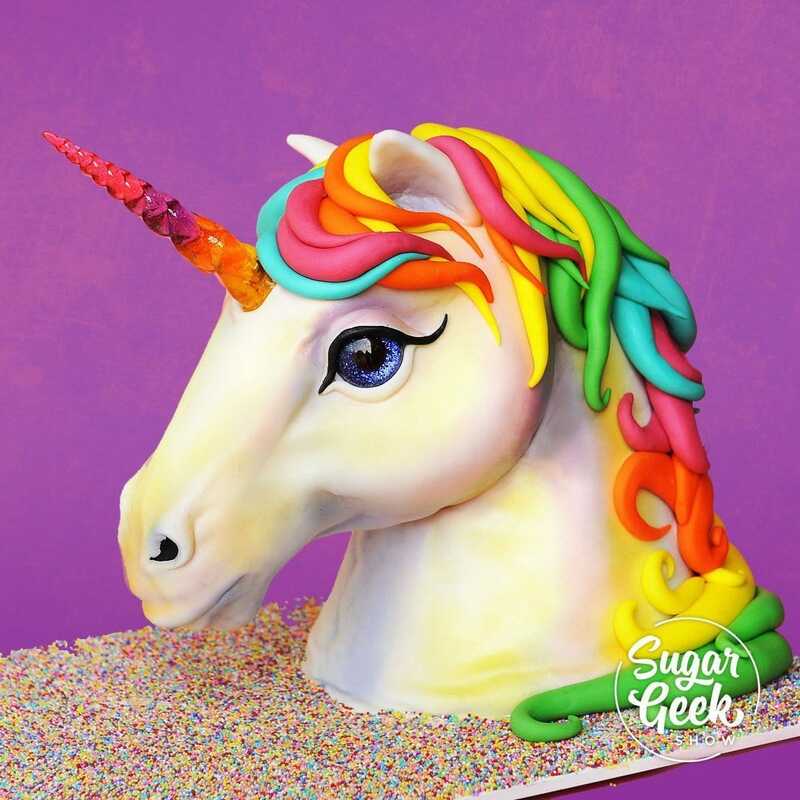 Liz Marek returns for her take on the unicorn trend, with a realistic, 80s-tastic neon unicorn bust cake. This cake features real horse anatomy, a glowing isomalt (or Jolly Rancher) unicorn horn, beautiful sparkly eyes and a neon-rainbow unicorn mane. Wow your clients and up your cake game with this stunning cake design, sure to be a show-stopper at your next event. Something I’ve been wanting to do for a while now was a sculpted horse head cake. I love horses and one aspect of anatomy that every great artist can achieve is (A) sculpting human anatomy and (B) sculpting horses! When the unicorn cake trend started, I had a feeling it was going to be here to stay, and while the simple unicorn cake style is right up my alley, I felt like I could innovate on this by taking it a step further and making a realistic horse head. I hope you like this design and draw a lot of inspiration from it, as well as learning the anatomy of a horse head.